So here are eight colours of a new mesh. This toddler dress isn't quite as full as the girls' dress because I didn't want it to look weird when the toddler is crawling or sitting. I used the same fabrics as the girls' dresses but in slightly different combinations, so they're not exactly the same (but they'll still coordinate nicely for family portraits). 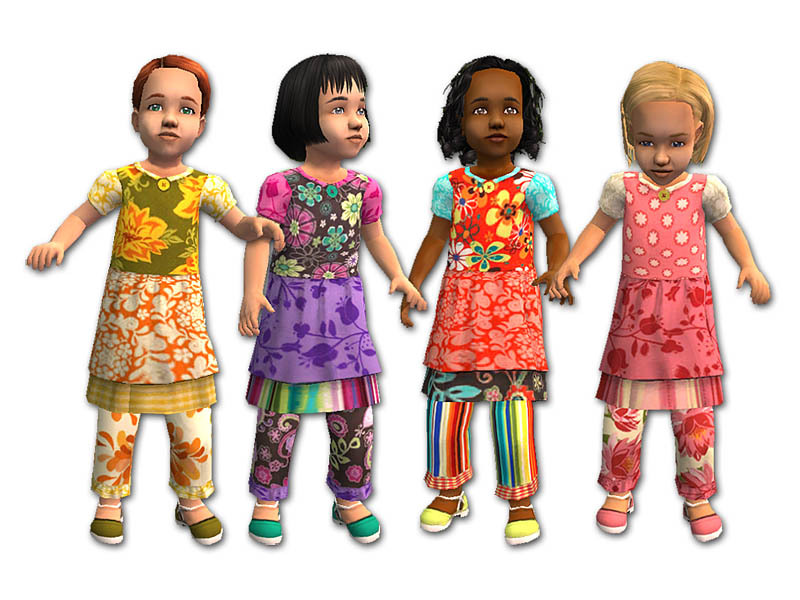 These dresses were so much fun to make, so I had to make one more set. Just like all the others, the dresses feature coordinating fabrics and matching shoes. Only the recolours are in that file, so you'll need the meshes. 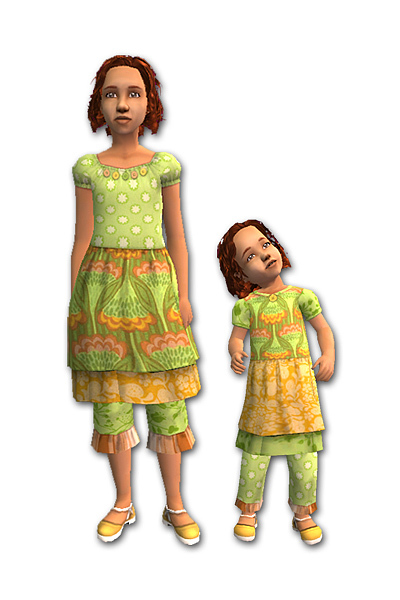 The mesh for the girls' dress can be found here. Some hairstyles are age conversions by melodie9. 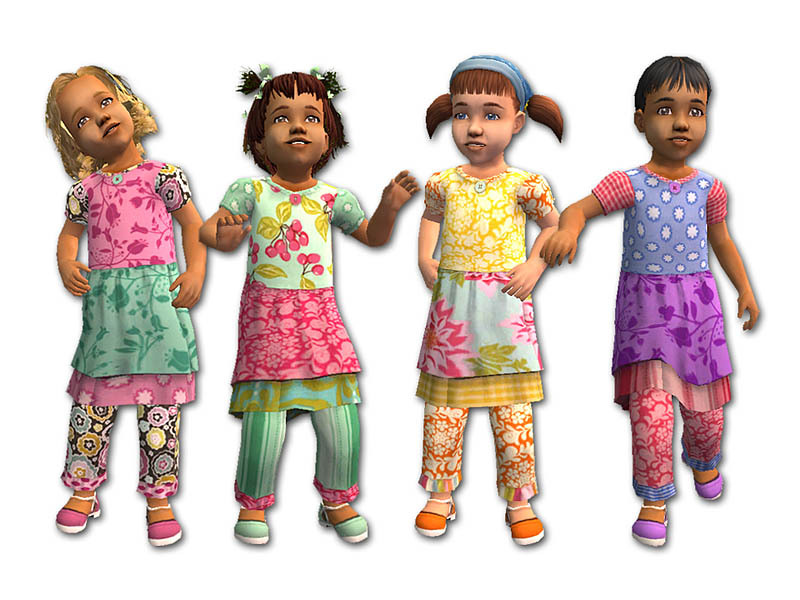 The toddler hair with the pigtails and flowers is by natrobo. The bangs fix on the bobbed hair is by fanseelamb. All are available here on MTS2. Thanks for the hair!